Usually I record terms that I either don't know or are a little hazy on while I'm reading, but then I forget (or become too lazy) to look them up, so while I am reading "A Tale of Two Cities", I decided (albeit late into the endeavor) to record some of the terms and actually look them up on the fly. I'm going to try to do this periodically, but we'll see what happens. I'll try to limit it to around 5 words, but I may get carried away. 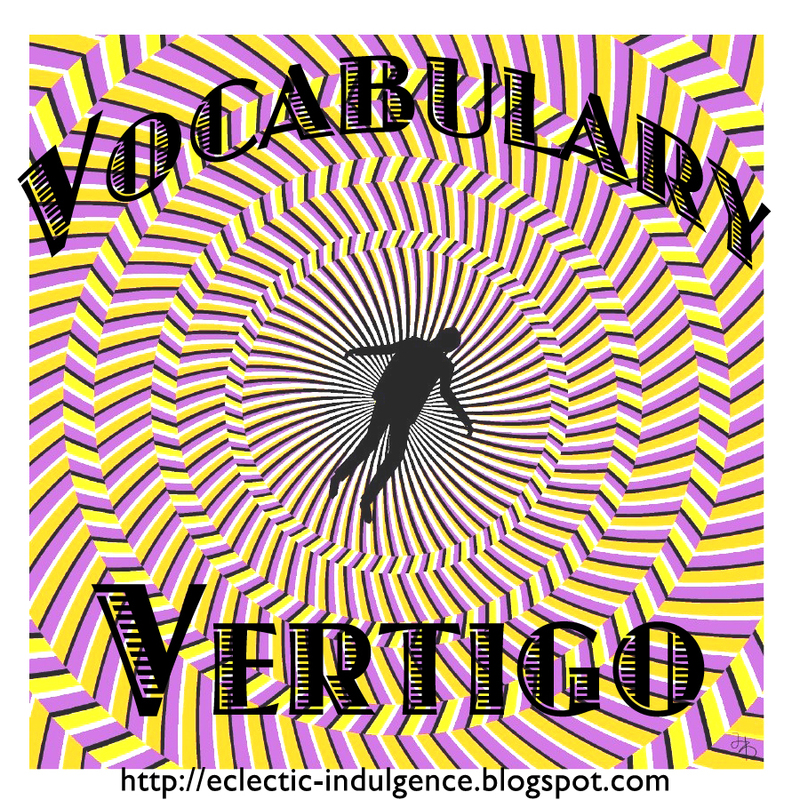 I have decided to call it "Vocabulary Vertigo", because some of the terms are liable to make me dizzy while staring down at them. 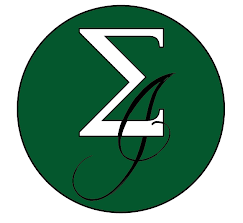 1. a signal, esp. of alarm, sounded on a bell or bells. 2. a bell used to sound an alarm. full of, expressing, or causing pain or sorrow; grievous; mournful: a dolorous melody; dolorous news. 1. a woman who flirts lightheartedly with men to win their admiration and affection; flirt. Comments are welcome on this post. Would you prefer context? More terms/less terms? Suggestions/opinions? I do the same thing (I post Words of the Day) and I thought it was funny that your first word was once one of mine! Same word, different book. You can check it out here--it's word #2. This is such a great idea. I have dictionary.com bookmarked on my phone because I look so many words up now that I am reading all these classics. I may have to borrow your idea for my site too, if that's okay! Have a blast hopping to/following new blogs! Here is my post! I am a seriously eclectic reader! I follow blogs via google reader! Found ya through the hop! That's what I love about my Kindle - the dictionary is built right in!! Found you on The Hop. Great blog - I love reading the classics, too. Will spend a little time looking around here! Feel free... between the two of us and Kathy (who I think originated the idea unbeknownst to me), we should all increase our vocabulary substantially. Can you believe we identified the same word in two different books? What are the odds? 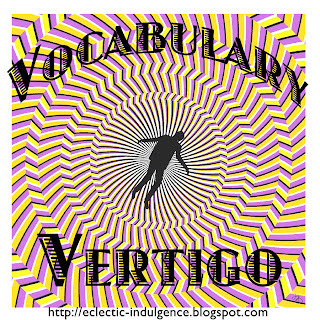 Hey, if you can make that image into a banner, I wouldn't mind using it for "vocabulary vertigo" posts! I keep a notebook when I read to write down words that I don't know and their definitions. I try to only keep words that can be used in a fairly broad context - not, for example, obscure pieces of a Victorian lady's wardrobe. My favorite is 'coxcomb' - a silly, conceited man. I can't take credit for originating the idea--after I started doing my Words of the Day, I noticed there were already several other blogs doing something called "Wondrous Words."